AIDS Alabama – United Way of Central Alabama, Inc.
AIDS Alabama is committed to increasing the community’s level of HIV/AIDS knowledge and awareness through innovative interventions and targeted outreach. We provide an array of individual and group-level programs and services, reaching thousands of Alabamians through outreach at various venues including: local colleges and universities, faith-based organizations, shelters, correctional facilities, and more. 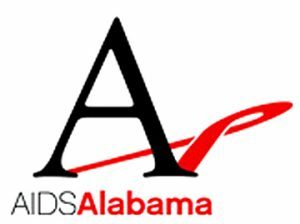 AIDS Alabama hosts annual consumer education training sessions for HIV-positive persons throughout the state of Alabama. These training sessions serve as a way for the HIV-positive community to be engaged in advocacy efforts. By training HIV-positive consumers on how to effectively communicate and educate relevant stakeholders and decision makers on HIV/AIDS issues, we ensure that Alabama’s HIV-positive population maintains a vibrant voice statewide. AIDS Alabama provides a host of opportunities for interested HIV-positive consumers to communicate to their elected officials and relevant decision makers. Opportunities include letter writing campaigns, online communication, and face-to-face meetings and events. AIDS Alabama’s advocacy efforts culminate in providing HIV-positive Alabamians with the opportunity to mobilize and raise their voices as a concerned group. The agency hosts an annual Media Day event in Montgomery, providing a direct channel for HIV-positive persons to engage their elected officials in discussion about HIV/AIDS issues. Learn More About AIDS Alabama, Inc.